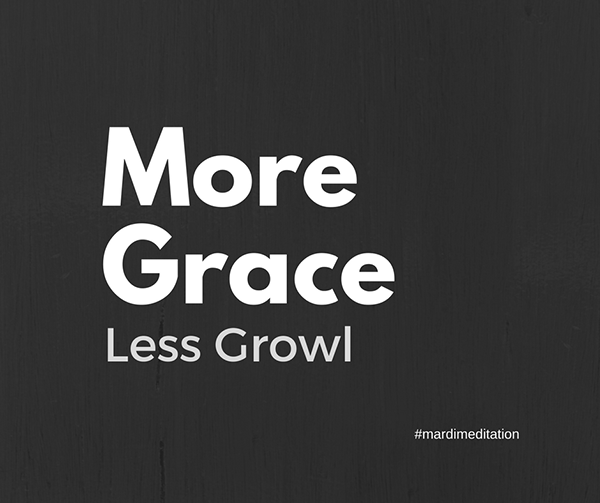 Grace doesn’t make a fuss about itself, but it subtly warms and transforms the atmosphere. At its essence, grace is the transference of well-being from one who is calm and comfortable to those around. My sons wish I would show more grace and growl less. I agree. Grace certainly seems like a worthy aspiration. Everyday graces are within reach for us all. Being generous. Extending the benefit of the doubt. Forgiving. Inviting. Including. Welcoming. Accepting responsibility. Apologizing. Being a good sport – win or lose. Grace is not rejecting, controlling, or denying reality. It’s an entering into. So take some time to invite grace. Sit tall, close your eyes (after you read this), and breathe. See what comes to mind when you imagine grace. With your inhale, invite grace. With your exhale, extend grace. Here are some grace notes from President Obama, Snatum Kaur, U2, and Dave Matthews for inspiration.